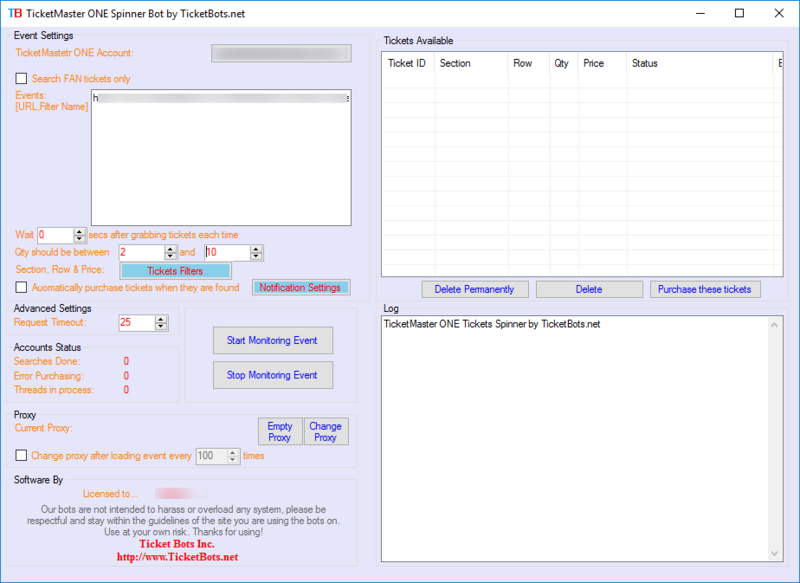 The software allows you to reserve multiple tickets from http://one.ticketmaster.com, you can do multiple searches simultaneously on one event or multiple events with just a click of a mouse. You can use it for drop checks as well as set them for presales and onsale events. 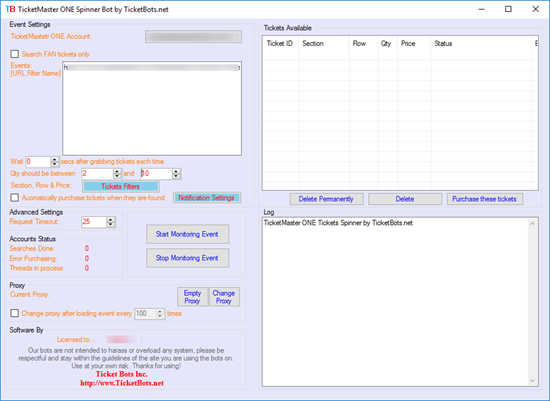 It also has an option to allow you to set the bot to start at a specific time, while you are not there and the software will start at a time and grab the tickets and notify you, if the tickets match your criteria. The bot can be customized to meet your exact needs as well.